Private beach on the Bay of Mazzarò. Photo courtesy of Belmond Villa Sant'Andrea. Gentedimontagna contributing editor Christina Ohly found a certain spot in the Mediterranean to sit back and tune out. 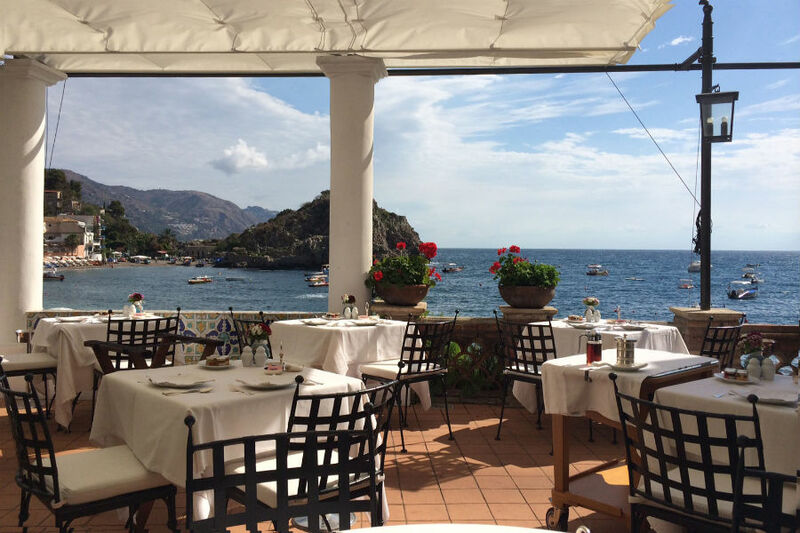 She checks into a charming villa in Taormina for a serene stay on the Sicilian coast. La. Dolce. Vita. 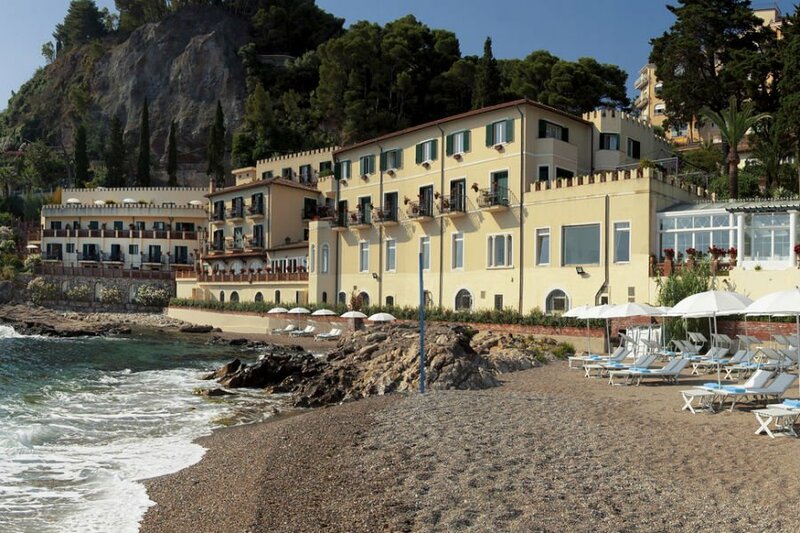 , the Belmond hotel on the beach in Taormina, Sicily, is simply a slice of heaven. The original villa was constructed in the 1830s and has been lovingly restored down to the tropical plants in the surrounding gardens. The crowd is a complete mixed bag, but you're guaranteed to find many Americans and Brits, primarily of older age, as quiet is the order of the day. The old is what's great here, but the additions of a gym, a small spa, and complimentary boat tours (with swimming) of the surrounding islands and inlets are all es. You'll find beautiful rooms and suites — most with flower-filled balconies and sea views — as well as the most picturesque patio for breakfasts that can last for hours. People don't come here to work out, but if you must sweat, the adequate small gym features several cardio machines. The spa does excellent in-room or outdoor massages. WiFi is available throughout the property, including at the pool and in the hotel's private beach cabanas. Salty ocean breeze for breakfast. Photo by Christina Ohly. Breakfast on the covered terrace is the highlight — a massive spread of yogurts, cereals, breads, and every fruit imaginable, as well as locally sourced honey and jam. And the coffee is killer, of course. Skip dinner as it is wildly expensive and not very charming. You'll have better in town, particularly at rooftop gem in Taormina. Couples and families with extremely well-behaved, older children. This is Italy, so just about anyone and anything will work. But at these prices, it is a wonderful experience for a slightly older set. Anyone on a budget. The €10 Diet Cokes really do add up. 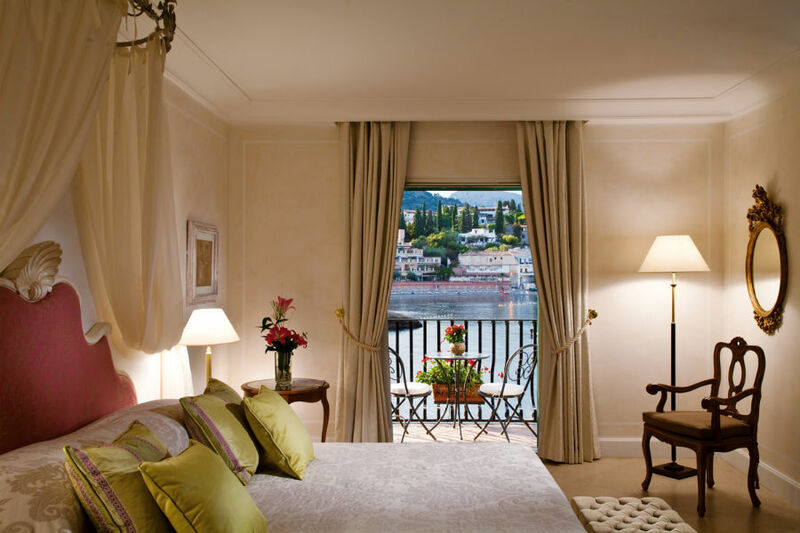 I stayed in a small sea view junior suite (Room 211) with exquisite views of the Bay of Mazzarò. The beds are dreamy — thick, firm mattresses with perfectly pressed cotton sheets — in that way that is so specific to great Italian hotels. All rooms have been upgraded to include electrical outlets for all chargers (US, UK, EU) and the most modern bathroom amenities. Be sure to request a room away from the service elevator, which kicks in very early in the morning. Views inside and out. Photo courtesy of Belmond Villa Sant'Andrea. 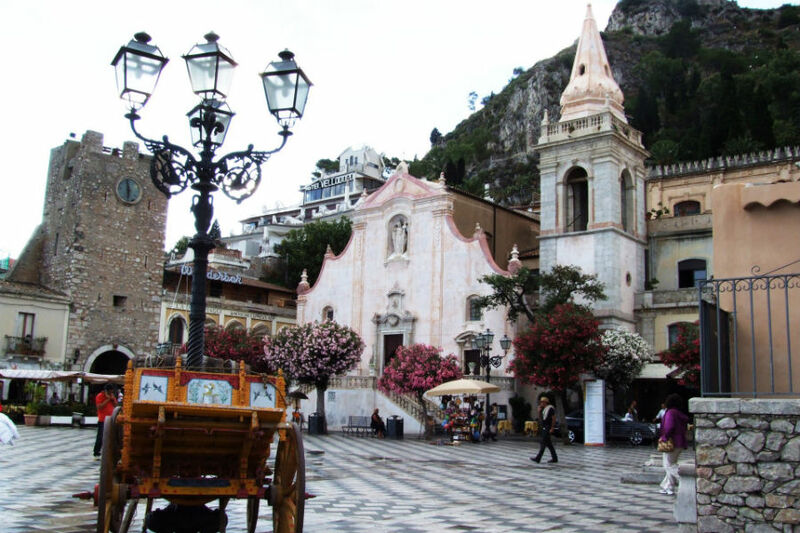 A shuttle whisks guests up to Taormina proper, where the atmospheric streets — winding passages, frescoed cathedrals, and trattorias galore — make for a fun afternoon or evening. This is not Capri: You won't find Gucci or Prada, but rather smaller, artisanal shops selling beads, limoncello, and some of the best gelato and granita I've had anywhere in Italy. Mount Etna often supplies visual excitement (it was active this past summer) and Siracusa is a little more than an hour away. A summertime film festival brings stars from around the globe who all stay at the sister property in town, , which itself is worth a dinner overlooking the twinkling light of town and the Mediterranean in the distance. The picturesque towns of Modica and Noto — as well as the baroque Cathedral of San Giorgio — can be accessed by your very own Fiat 500, which can be arranged for in advance with the concierge. The scene in Taormina. Photo by / Flickr. У нашей организации классный портал , он рассказывает про оптимизация сайта под поисковые системы. Поможем вам подобрать и https://www.avtokum.com по вашему желанию, недорого.